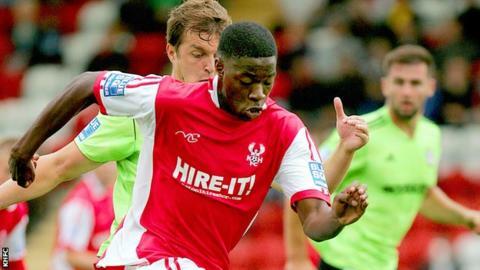 Kidderminster Harriers striker Nathan Blissett has signed a new contract which will keep him at Aggborough until the summer of 2014. Blissett, 22, joined Harriers during the summer after scoring 13 goals for Northern Premier First Division South outfit Romulus last season. He has made 27 appearances so far this season, scoring three goals. Meanwhile, Harriers have released Ryan Austin after the defender failed to make an appearance since September. The 28-year-old joined Kidderminster from Burton in July on a one-year contract, but after playing only five games was allowed to leave on loan to Brackley Town, and his contract has now been terminated early.